home / Made in America / Happy Spring from the Queen Bees! Happy Spring from the Queen Bees! 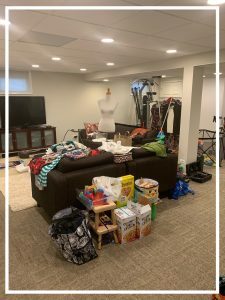 We were so excited to help out a young family whose basement had gotten away from them. 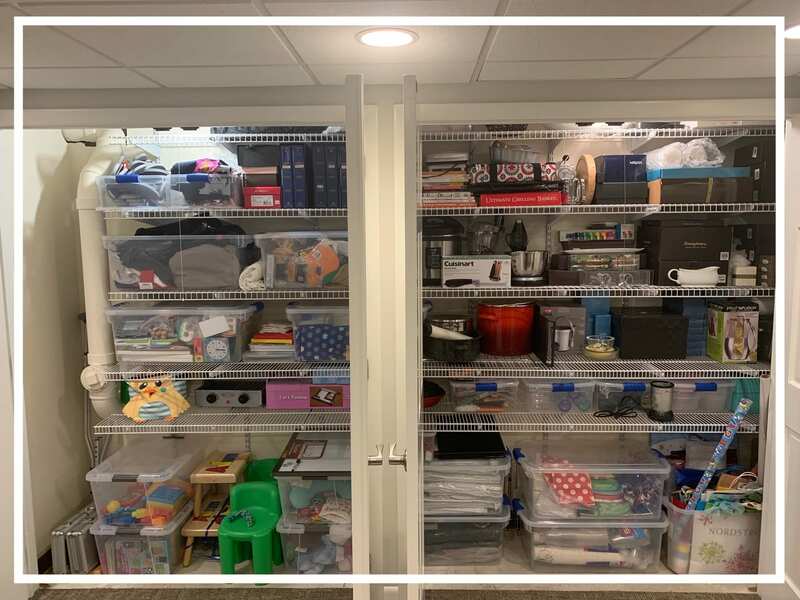 This home’s finished basement has amazing storage spaces, two big closets with shelves and a couple other small closets, so the potential was there but they were sort of bursting at the seams. We started by pulling everything out of the two big closets and sorting it into categories. 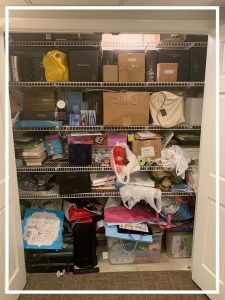 These closets hold lots of wedding gifts they don’t really use (how many of us can relate to that!? ), kitchen items they don’t have room for in the kitchen, party supplies, some Holiday items and toys for their two toddler boys. 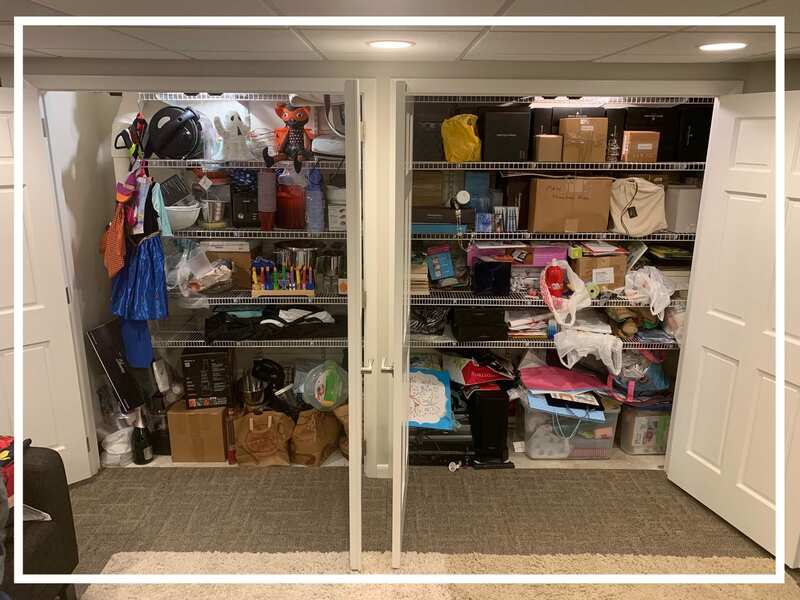 When the client initially called for a consultation (she lives about 30 minutes away so we did the consultation by FaceTime) I was able to see her closets, get a feel for what kinds of items they keep down there and what their organization needs were. 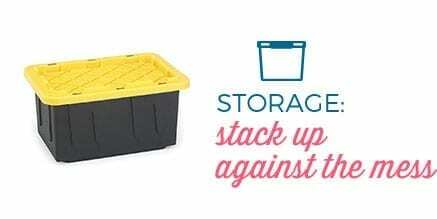 I knew the Homz Latching Clear Storage Bins would be perfect to hold items in categories and easily let the family see what’s inside. The client measured the height & depth of all of the shelves and we determined the 15.5 qt bins would fit perfectly on the shorter shelves and the 64 qt bins would work on the other shelves. 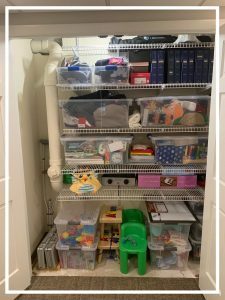 We decided to make the left closet Holiday: (Fall/Halloween) and Chanukah, toys, art supplies, some photo albums and bins to hold clothes and accessories the client sells online. 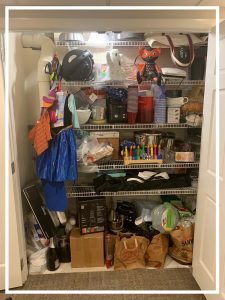 The right closet now holds extra kitchen items, party supplies, gift wrap, keepsakes and wedding gifts (China, crystal, silverware and serving pieces). We put all of the wedding china, crystal, silver and serving/entertaining pieces in the upper right part of the closet since they really don’t use them and don’t need access to them with any frequency. Items they do use were placed in easier accessible spots so when the time comes they can quickly retrieve them. 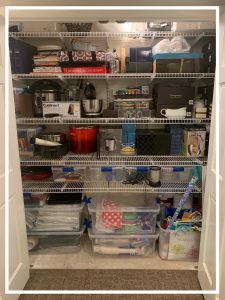 The Homz bins hold each Holiday separately, a couple gold items she has listed for sale, party supplies (paper plates, napkins & plastic cups) so they stay clean, plastic food storage pieces, Magic Bullet pieces, art supplies and keepsake items so they don’t get ruined. Having clear bins is so great because you can easily see what is inside and they all matchmaking your storage look uniform and intentional. These clients were SO happy with the outcome! 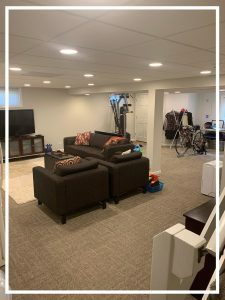 In just 5 hours we were able to transform their whole basement, give them their family room back and a much needed spot for their two sons to play. 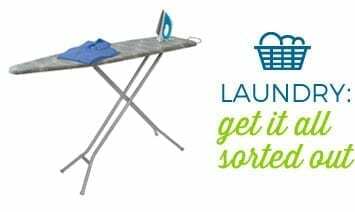 Spring is the best time to tackle home organizing projects, you’re not able to be outside much yet and feeling stir crazy from being cooped up all winter. 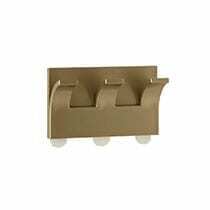 By getting your storage spaces organized you know just where everything is and you’ll be able to find things much easier. 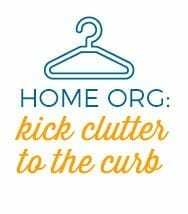 If you live in the Downers Grove, IL or surrounding areas the Queen Bees would love to help you tackle your organizing needs. Just give us a Buzz!